You need the right gown and hood before the time of assembly. 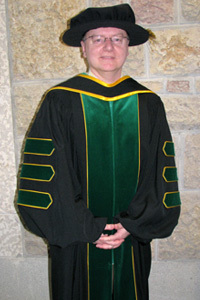 Online gown rentals for spring convocation will be available in April 11, at noon. You may also rent a gown at Merlis Belsher Place onsite at the times listed below. We encourage graduands to pick up their gowns early to avoid long lines on the day of their ceremony. 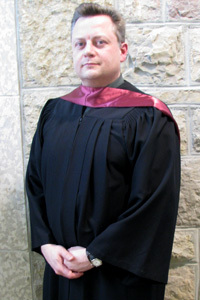 All gowns must be returned to Merlis Belsher Place no later than 2:00 pm on June 7, 2019. 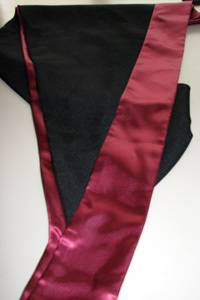 Graduands who attend the Convocation ceremony are required to wear proper academic dress. Graduands must obtain the hood for the degree they are receiving, not for a degree they may already hold. 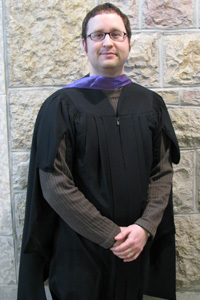 Be sure to obtain a gown and hood prior to the time of assembly. Gowns and hoods are available on a non-refundable rental basis. Boutonnieres and corsages may not be worn on the academic dress. Flowers are not suitable for the academic dress or the ceremony and should be held in reserve for celebrations after the ceremony. It is recommended that no money or valuables be brought to the assembly area. Purses, bags, etc. are not to be carried during the ceremony. If brought to the assembly area, they will be collected by a staff member and taken backstage to a dressing room at Merlis Belsher Place. Belongings left in the assembly area must be retrieved from a backstage dressing room immediately after the ceremony or they will be taken to the “lost and found” at Merlis Belsher Place. Renewable Resource Management (Bachelor of Science in Renewable Resource Management) singapoore blue outside band of trim and blue inside band of trim. * Doctors of Philosophy shall be entitled to wear for full dress, a robe of black cloth, faced with green velvet down the front edges and on the sleeves.